Byzantine Emperor and Retinue. 7 figures. 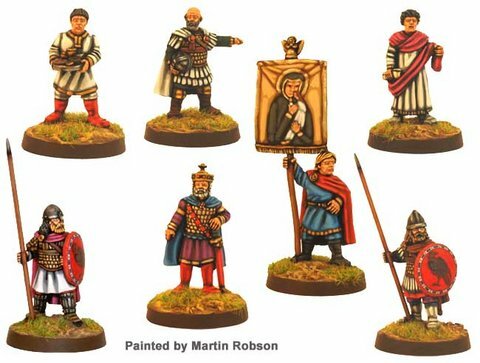 28mm metal figures, supplied unpainted. Wire spears not supplied.